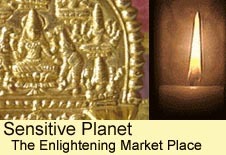 Question- I am reading information on Purusa, and Prana. When I read on Purusa it is spirit, soul, that which is not matter (pakriti) and changeless. When reading on Prana, it is sometimes described as Purusa, and always energy. Energy being made up of atoms must be pakriti how can prana be Purusa? Can you please relate your understanding of Purusa and Prana? you raised thought provoking questions. my knowing has hardly been from books and most of it is from the tamil siddhar philosophy that is acquired through experience. the ultimate form of siva is represented as in the element of space- meaning absolute and void and is denoted as nataraja that in deeper terms represents the energy of change within the atom, ie, anu in tamil.- this in our case is purusha. prakriti is denoted as the the three forms of goddess descending as perception- shakthi as wisdom, intellect and action. the duality of purush the spirit and prakriti, the matter can never be broken in its meaning and substance of meditative depth as both are entwinned within. when the third element of perception comes, the trinity breaks open the meaning. this then is the formula within manifestation as to the know purusa and prakriti as one within which is the difference as the source that is eternal and as matter, the manifested and the experiencer, that which is visible. said in simple terms, when within an atom is pure energy, what is the source and what is matter… and what seperates matter from energy?